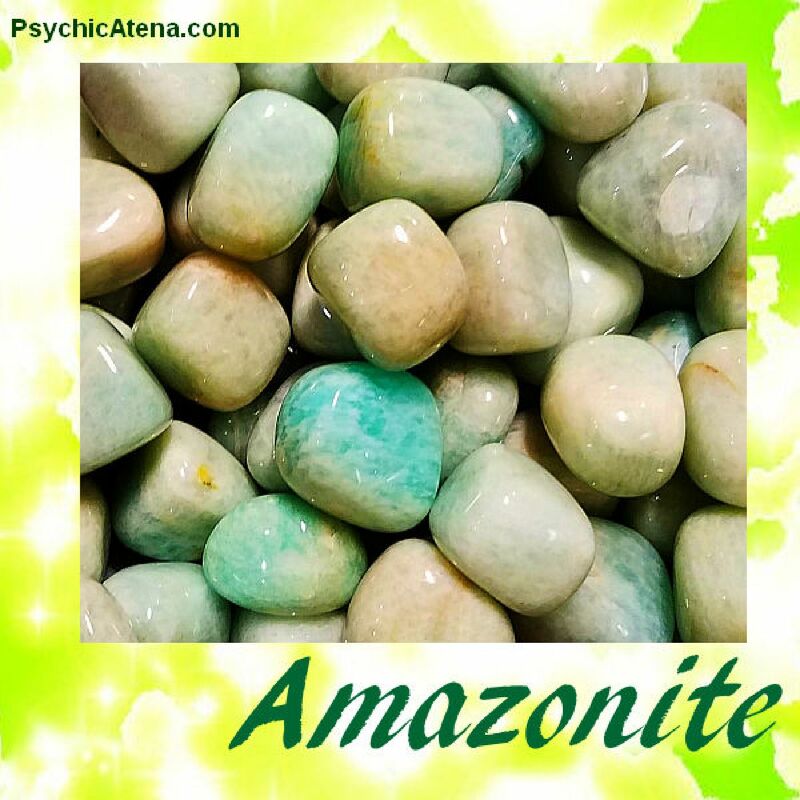 Amazonite is a green feldspar, a variety of microcline, used as an ornamental material. Amazonite is named after the Amazon River of South America. There are no Amazonite deposits that exist in the Amazon region, so presumably this stone is named to its resemblance in color to the green of the tropical rainforest. Amazonite is found worldwide, but large deposits exist in Russia, Myanmar (Burma), India, Ethiopia, Madagascar, Brazil, and the United States (Colorado and Virginia). Use Amazonite when you need a boost in your communication skills, when you are doubting yourself or have a need to soothe a worried mind. It is the problem solver's stone and is very helpful in repairing friendships, especially when trust has been strained or lost. Inspires truth, Sincerity, Honor, Self-love, Communication, Eloquence, Integrity, Trust.